Just after New Year, Susan Wyndham of the Sydney Morning Herald called to interview me for a story about self-publishing. 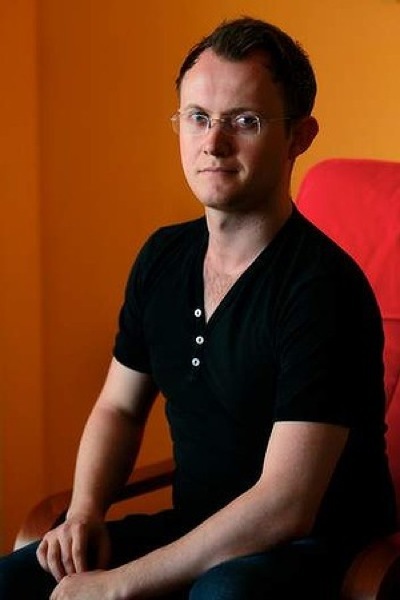 That story is in today’s Age with a photo of me at its head, and includes stories about a few other self-published Australian authors as well, including Matthew Reilly, Rob Towner, Rachel Bermingham and Kim McCosker, and Dr. Robert James. The piece is also full of anecdotes and statistics about self-publishing; it’s well worth a look. For those of you who are here because you’ve Googled me after hearing about me for the first time in that article, I’ve got a special piece of news: in this past week I did a five-day marathon session to get my second book ready for publication. My Generation’s Lament went on sale last night on Kindle and at Smashwords. If you haven’t read Kiss Me, Genius Boy, yet, grab a copy of that, too: at just $2.99 it’s the best place to start the No More Dreams series, and is in all major ebook formats, as well as in print. And do write to me with your thoughts, to ben@hourigan.co: I always love to hear readers’ reactions. 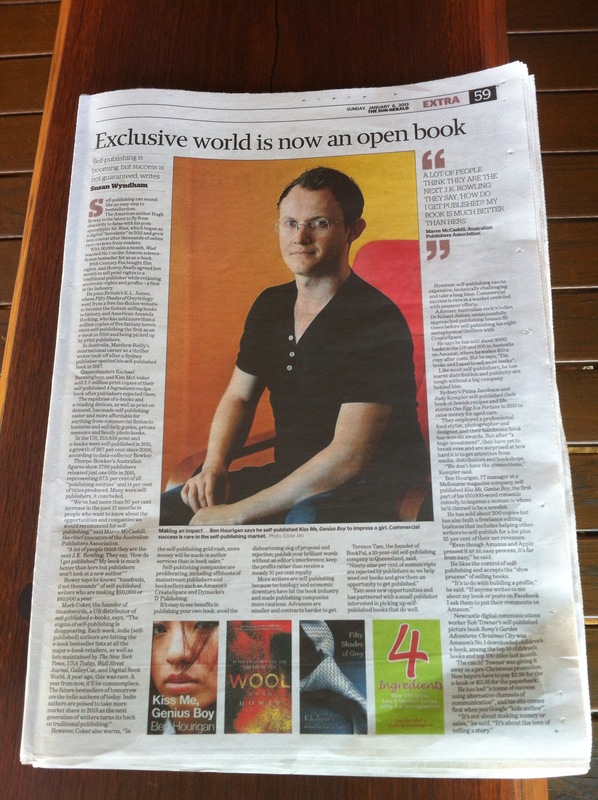 As a bonus, I discovered that the version of the self-publishing story in today’s Sun-Herald carries the photo of me at an astonishingly large size (see below). Thanks go to my family in Sydney for the pic.